Presenting the exclusive Game of Thrones Single Malts Scotch Whisky Collection. Bursting with unique character, each intriguing expression tells the story of an iconic Westeros House, or in this case, the Night’s Watch. 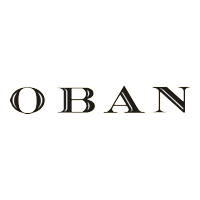 The scotch is produced in Oban Distillery, between the West Highlands and the Scottish Islands, which is reminiscent of Castle Black and its position between Westeros and The Wall. 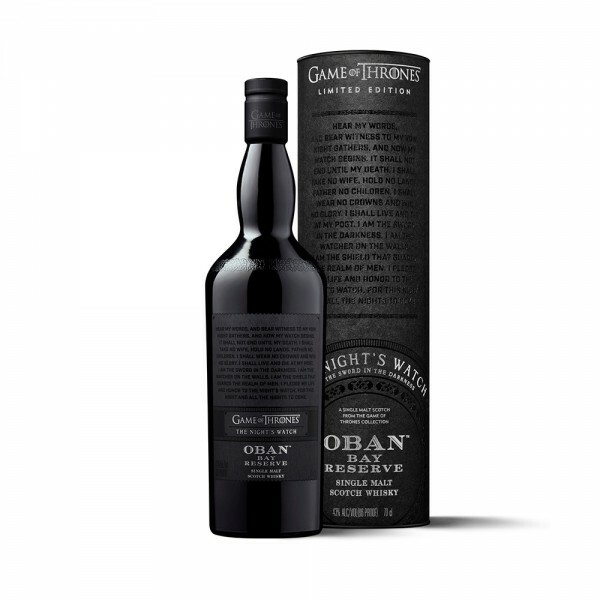 Oban Bay is bold, powerful and intense, just like the honourable Night’s Watch themselves. With rich, dry and subtly tangy aromas, this limited edition has a warmth that would keep each Ranger, Steward and Builder warm in the coldest nights of winter. Dark berries, liquorice and spice are warm on the palate, while deep flavours of charred oak, citrus and moreish creme caramel create a lingering finish.